Katy TX is a very large area on the west side of Houston TX…where the counties of Fort Bend, Harris, and Waller converge. It is hard to explain to people because, technically, the incorporated “City of Katy” is only a small area of about 15,000 people. 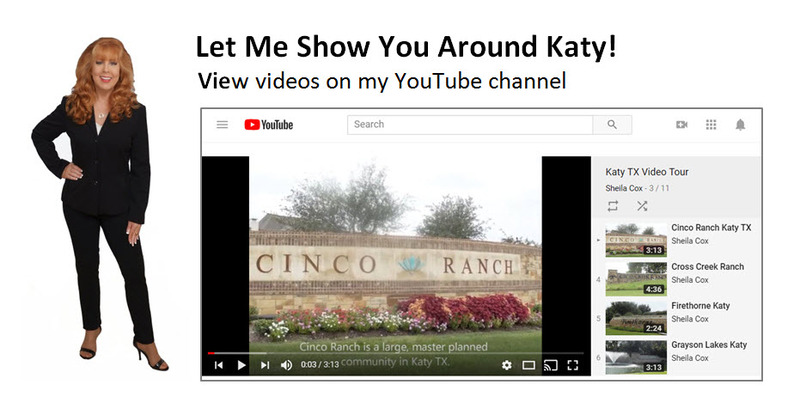 However, the “Katy Area” or “Greater Katy Area” usually refers to the entire area covered by the Katy Independent School District and various sources quote the population to be somewhere around 340,000. Katy is a huge area! This guide only covers neighborhoods that are south of I10…and not all of those neighborhoods…there are a few other smaller neighborhoods as well. 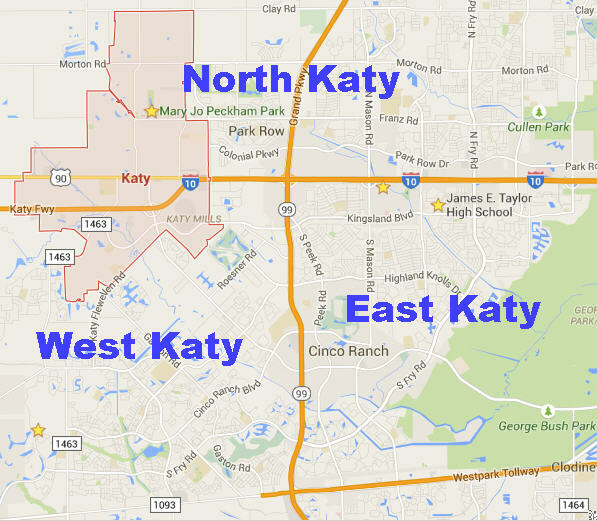 My terms “North Katy,” “East Katy,” and “West Katy” are not official terms. They are just how I separate and explain the different parts of Katy to clients. These three areas are very different in regards to the scores of the schools and the age and price of the homes. Generally speaking, the area north of I10 has lower scoring schools and, therefore, less expensive homes. The areas south of I10 both have high scoring schools, but some parts still have better schools than other parts. The east side of Grand Parkway is older, and has more mature trees (therefore “prettier” than the west side) but also has older homes that may need to be updated. These homes are closer to Houston and, therefore, have shorter commute times than the west side of Grand Parkway. The area west of Grand Parkway is newer and so there are lots of newer, modern homes zoned to high-scoring schools. However, if you live far-west you will have a longer commute than the far-east side of Katy (to downtown or Galleria). We could probably separate another area out: the Energy Corridor which, for now, I include in east Katy. The area of Katy is so large that it crosses two counties (Harris and Fort Bend) and multiple ZIP Codes (see below). People often move to Katy for the excellent schools here. 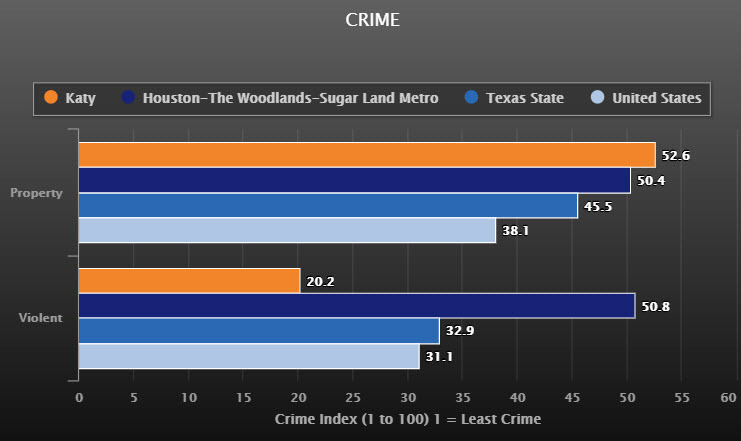 The above average schools (8-10) are mostly in East and West Katy…south of Interstate 10. The schools in North Katy are mostly average (4-7) according to GreatSchools.org. Unfortunately, property taxes in Texas are among the highest in the country. But before you panic, just remember that we don’t have a state income tax in Texas…so one sort of offsets the other. You can read more about Texas property taxes so you are well-informed. In addition, each Katy subdivision (and there are many!) has different property tax rates…and they can change from year to year. Subdivisions in our newest neighborhoods, like Tamarron, Cardiff Ranch, Cross Creek Ranch, tend to have the highest property tax rates (3.6) and subdivisions in our older neighborhoods, like Kelliwood or Nottingham Country, tend to have the lowest tax rates (2.6-2.8). One thing I like to point out though…our newer homes tend to be much more energy-efficient than our older homes; so you will save money in energy costs when you buy a newer home. That may help partially offset the higher taxes. There is a lot of misinformation on the Internet and the news media got a lot of information about Hurricane Harvey wrong. If you are concerned about flooding in Katy TX, then please read my detailed article: Katy Flood Zones. It has information and maps to help you understand the facts. 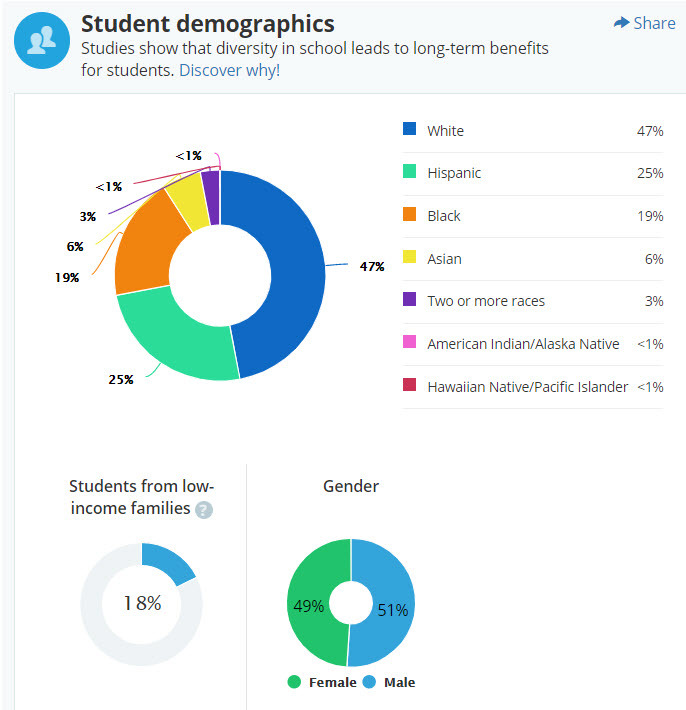 Source: http://katyedc.org/Data-Demographics/Leading-Employers.aspx on April 24, 2018.